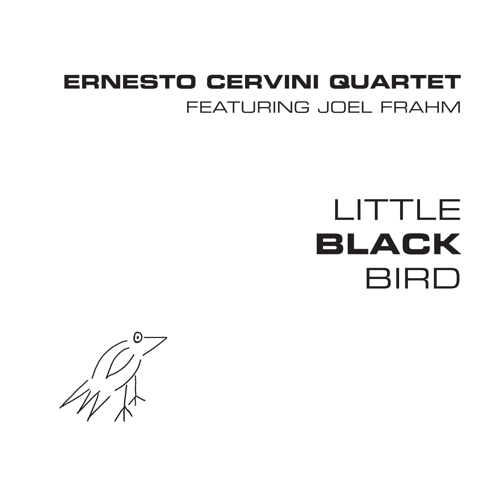 Little Black Bird - Ernesto Cervini Quartet (Anzic) - I started to review this CD several months and got sidetracked, then mislaid the disk. Talking to Joel Frahm prior to a live performance prompted me to go searching. Glad I did as this CD, Cervini's 2nd as a leader, really shines. Bursting out of the gate with "Coconut Bill", a rampaging hard-bop burner, the music is alive and often lively. Joining the drummer/composer is pianist Adrean Farrugia (piano) and Jon Maharaj (bass), both of whom played on Cervini's 2006 debut. Replacing saxophonist Mike Murley is the afore-mentioned Frahm, whose dexterity and soul continues to impress. What stands out is the quality of Cervini's original music - he knows his sidemen well and the music is challenging and fun. Farrugia's rippling piano lines flow behind and in front on "Mia Figlia." The drummer rides the waves of sound, pushing and accenting the piece. Dedicated to his grandmother, "Nonna Rosa" is a sweet and sad ballad with a lovely tenor sax solo. Farrugia switches to electric piano for a pair of pieces, one written by Radiohead ("2+2=5") and the other ("Seven Claps") inspired by the British quintet's "15 Steps." The Quartet captures the sense of Radiohead's sensual melodies and their unique rhythmic flair - Frahm plays soprano sax, displaying a sweet tone and the influence of Wayne Shorter. 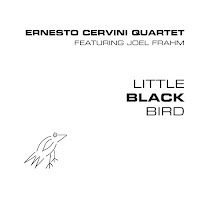 Perhaps the "hottest" playing comes on "Jimmy Rey" which continues to build in intensity until Cervini takes over for a long, thundering, solo before the piece closes out. Great playing all around and one can sense the joy the quartet gets from playing this music and playing as an ensemble. For more information, go to www.ernestocervini.com. Steve Lacy had a long career, much of it spent in Europe. He returned to the United States early in the 21st Century and began teaching at the New England Conservatory. That's where Josh Sinton met befriended and studied with him and the idea of Idea Bread was born. The quartet's recordings shine a light on Lacy's, showing listeners its roots and its originality. Give a listen. For more information, go to http://joshsinton.com. 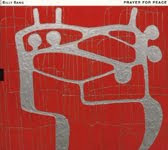 Prayer for Peace - Billy Bang (Tum Records Oy) - This lovely collection of music was recorded 5 years and is only now seeing the light of day (and on a label based in Helsinki, Finland.) The violinist and his band (trumpeter James Zollar, pianist Andrew Bemkey, bassist Todd Nicholson and drummer Newman Taylor-Baker) hit the target from the opening note. "Only Time Will Tell" is a tune composed by violinist "Stuff" Smith and one can hear Smith's love of blues and swing in Bang's sweet solo and Zollar's affectionate nod to Louis Armstrong. Bang has often been tagged with the label "avant-garde" but much of the music here is melodic, quite rhythmic, fiery yet in control. The title track is a 20-minute meditation that slowly rises out of the nearly silent rubato opening, features a lyrical trumpet solo, a quiet, contemplative, piano spot under which one can the rhythm of the piece begin to take shape in Taylor-Baker's active brush work. Bang does not enter until nearly 12 minutes in and his solo builds from short lyrical phrases to longer flowing lines and to a plaintive pizzicato line. Percussionists Milton Cardona (congas) and Joe Gonzalez (bongos) join the band on 2 tracks, the Brazilian flavored "At Play in the Fields of the Lord" and Compay Segundo's Cuban-salsa piece "Chan Chan." The first piece has great drive, smart solos and great rhythms created by the percussionists and pianist Bemkey. Hang around for Bang's fiery coda. The second piece is slower, sensual, with a growling, swaggering trumpet solo and a lovely, classically inspired solo from Bang. The program closes with "Jupiter's Future", a bouncy yet hard-edged romp dedicated to Sun Ra. Bemkey takes the opening solo, setting the bar high with an intense exploration. Zollar and Bang follow, pushing the music even further. The violinist's unaccompanied closing lines set the stage for a powerful drum spot before the piece returns to its opening theme. "Prayer for Peace" is no solemn set. Yes, it has its quieter moments (and the leader does want us to quash our war-like tendencies) but Billy Bang and company have truly given us a many-hued rainbow of creative music that deserves your attention. For more information, go to www.tumrecords.com. The first time I heard the music of Willem Breuker, who passed today at the age of 65, must have been in the late 1970s. I had begun a correspondence with Bob Rusch, publisher/editor/writer for CADENCE Magazine. There was a review of the Breuker's Kollektief "Live In Berlin 1975" (FMP Records) and I became curious. We talked, I purchased and I began to dig into the Dutchman's music. Breuker mixed it up - his 10 piece band (later to become 11) tackled thorny original music, filled with twists, turns, squawks, honks, pounding rhythms, and "wild" melodies. The ensemble tackled Weill, Gershwin, Satie, oratorios, film music, musical theater, television and more. He hired great musicians, players who could read and improvise without fear. He started his own label, BVHAAST, at a time when few musicians were doing that, documenting not only his own music but that of his band members and other Dutch and European composers/musicians. Willem Breuker, born in Amsterdam, began his musical career in the1960s,. He played with many of the European "New Jazz" players, such as Peter Brotzmann, Han Bennink and Misha Mengelberg(with the latter 2, he formed the Instant Composers Pool (ICP). He organized the Kollektief in 1974 and the band plus the label was the main source of his musical output. He played in all sorts of settings, in many different-sized ensembles, with string sections, chamber groups, and whoever could play his music. He never rested on his laurels, always moving forward, always challenging audiences and listeners. To find out more, go to www.xs4all.nl/~wbk/. 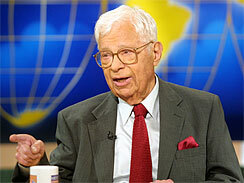 Commentator and reporter Daniel Schorr also passed today and one can read any number of tributes (npr.org., cbsnews, etc) but there is one memory of Mr. Schorr that I want to share. He came to speak at Wesleyan University shortly after the events of September 11, 2001. He wondered aloud about President Bush's reaction - though the President dubbed the terrorist attack as an "act of war", he told Americans to go shopping. Schorr thought back to World War II and the weeks after the attack on Pearl Harbor. President Roosevelt made sure to tell his constituents that this would be a time of sacrifice, that every citizen needed to pitch in for the war effort. Schorr shook his head at the notion of "going shopping." Today, a small percentage of Americans are soldiers or nurses, doctors or pilots and some continue to return to Iraq and Afghanistan, many choosing of their own volition to go back. Yes, it's a such different world than the days of World War II and even Vietnam. News has become entertainment, often personal opinion instead of reporting. Daniel Schorr was a reporter who became a commentator, an elder statesman, a trusted voice and he worked right up until the end. He, too, will be missed. 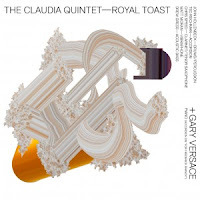 Royal Toast - The Claudia Quintet + Gary Versace (Cunieform Records) - Critics and reviewers have a tendency to use well-worn labels to describe music, words like "mainstream", "bebop", "post-bop", etc. Every once in a while, one comes across music that defies categorization - in the case of "Royal Toast", one, even two, labels would not do this excellent recording justice. Composer/drummer Hollenbeck has influences ranging from contemporary classical to African/Asian percussion to "pop" music and beyond. Through the course of "..Toast", I hear hints of Frank Zappa, Hatfield & The North, Steve Reich, Steely Dan, Terry Riley and more. What's so impressive about this music is how "uncluttered" it is. You put 6 musicians/improvisers in a room, it's bound to get noisy but composer/arranger Hollenbeck knows exactly what he wants. There are high-energy pieces here, such as the title track and "Keramag", yet every instrument can be heard (in the case of bassist Drew Gress, his contributions are more "felt" than "heard" at times.) The blend of the "reed" instruments, Chris Cheek's clarinet or tenor saxophone and Ted Reichman's accordion is quite appealing while the addition of pianist Gary Versace adds another color alongside the vibraphone of Matt Moran. There is a sense of solemnity to "For Frederick Franck" (Versace adds a second accordion), a touch of "free music" in "Paterna Terra" and a funky bounce to "Zurn." Tempos often shifts within songs and solos are short yet highly expressive. Each member of the group gets a short solo piece (4 of the 6 actually are duets with themselves) and all serve as introductions to longer pieces. If you've not discovered The Claudia Quintet, start here and then find the group's other 3 CDs on Cunieform. Each is a world unto itself and well worth your time. To find out more, go to www.johnhollenbeck.com. The State of Black America - The Mark Lomax Trio (Inarhyme Records) - The fire and drive of this program will remind many of the "Great Black Music"of the 1960s, music inspired by John Coltrane, Albert Ayler, Amiri Baraka, and into the 70s with Oliver Lake, Billy Harper, David Murray and later on in the music of David S. Ware. This is music about race and identity (and don't kid yourself if you think the election of President Barack Obama "solved" the racism issue in the United States.) Lomax's works, written and recorded 11 months before the 2008 election, are informed by blues patterns, gospel music, the "freer" aspects of Charles Mingus' music and "soul" music (listen to "Blues for Charles", you'll understand what I mean about "soul.") Lomax's partners are tenor saxophonist Edwin Bayard and the big-toned bassist Dean Hulett. Each plays with passion and intent, never stepping on the other's lines, giving strong support - hear how Lomax opens the ballad "The Unknown Self" with a drum solo and how he sets the tone for the deliberate bass lines and Bayard's whispery tenor work. There are moments on the opening cut, "Stuck in a Rut", where the Trio "wails" with abandon but never loses its focus. More righteous blowing on "To Know God is to Know Thy Self" where the 3 musicians let loose (Lomax's thundering drums below the raging saxophone solo is a joy) and there is a catharsis that leads into the slow blues of "...For Charles." Mark Lomax and Trio have created a program that is visceral and soul-searching, music that should be heard "live." That it sounds this vital as a recording makes one believe it could be breath-taking in concert setting. To find out more, go to www.inarhymerecords.com or www.marklomaxii.com. 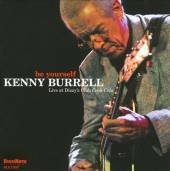 Be Yourself - Kenny Burrell/Live at Dizzy's Club Coca-Cola (HighNote Records) - Kenny Burrell turns 79 at the end of July and remains a busy teacher and touring musicians. On the jazz scene since the mid-1950s, he's recorded over 40 Lps and CDs as a leader and appeared as a sideman on over 200. Often described as a "conservative bop" player, Burrell really loves melody and his solos are often pleasing blends of percussive riffs and flowing phrases. This CD, recorded in September of 2008, finds him leading a band featuring the fine pianist Bennie Green, stalwart bassist Peter Washington, solid drummer Clayton Cameron and is the recording debut of tenor saxophonist/flautist Tivon Pennicott. Cameron is the sparkplug on the uptempo tracks, setting down hearty rhythms and displaying excellent cymbal work (he kicks nice and hard on Billy Strayhorn's "Raincheck".) Green rarely disappoints (his work on Anat Cohen's new CD is super) whether he's acting as an accompanist or stepping out smartly as he does on "Tin Tin Deo" and the Strayhorn track. Blue Bossa" is both; a blues riff over a snappy bossa nova feel. The guitarist strums, plucks and picks through a shrt solo before yielding the spotlight for Green's two-handed dance. Pennicott has a good round tone on tenor - his highlight is a sparkling, Coleman Hawkins soaked, romp on "In A Sentimental Mood." His flute solo on the guitarist's "Listen to the Dawn" is fine and lyrical. Washington bounces, walks and slides through Burrell's "Bass Face", originally composed for Ray Brown. His long, funky, solo sets the pace for the guitarist's rippling riffs and bluesy asides. Like any good master player, Kenny Burrell gives his band plenty of time in the spotlight as well as making the most of his own solo time. "Be Yourself" finds him sans accompaniment - the ballad has a lovely flow and Burrell's flourishes at the end of each line are swift bluesy phrases. He dips and dances his way through "Raincheck" with a boyish enthusiasm that is irresistible. "Be Yourself" is most likely a phrase Kenny Burrell uses with his students. A ageless player, he continues to please audiences with his sweet sound and melodic pieces. What About...? - Conference Call (NotTwo Records) - Having seen Messrs. Gebhard Ullmann (saxophones, bass clarinet), Michael Jefry Stevens (piano), Joe Fonda (bass) and George Schuller (drums, percussion) in concert several times, I know how fiery and playful their interplay can be. 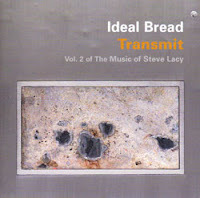 This 2-CD live set, recorded in Krakow, Poland, on 2007, is a good example of the band's work and play. There's an immediacy to the sonic quality, the quartet is well-miked, and no one instrument overwhelms the others. Ullmann has a big sound, especially on tenor, yet listen how Schuller eggs him on "Litmus" and how Stevens prods underneath with the booming bass pulsating against the martial drumming. Fonda and Schuller have worked together on many occasions and are comfortable nudging each other. They can do their "own thing" and know there's a firm underpinning. "What About The Future?" is a fascinating ballad - there is a nearly inaudible bowed bass solo leading to an equally quiet piano spot. The piece also has a handsome melody that does not show up until 2/3rds of the way through. This is a band that does "quiet" well, drawing the listener in. They can be noisy, exuberant and downright silly. Disc 2 features Stevens' "Could This Be a Polka? ", a piece that has an Eastern European feel in its initial melody but, sadly, loses its way. Give the band credit - they have no fear and there are nights when you're listening to the group in person and music like this catches your fancy. 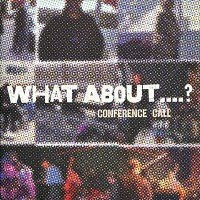 Conference Call has been a collective for over a decade, playing in venues throughout North America and Europe. Each player brings different influences to the music and they are quite compatible. Seeing them live helps one to listen to their CDs as you can see them interacting in your mind's eye. For more information, go to www.gebhard-ullmann.com. I've mentioned "The Checkout", Josh Jackson's weekly 60 minutes of jazz performances, interviews and more, on numerous occasions. Invariably, Jackson's chats with musicians are so interesting, really getting into the mind of the creators and helping listeners get a handle on the creative process. This week's show (listen at www.wbgo.org/thecheckout/) features a fine interview and studio session with pianist Bruce Barth and saxophonist Steve Wilson as well as an interview with percussionist/composer Dan Weiss and an excerpt of a live recording from keyboard artist Craig Taborn (listen to his Quintet's entire set from NPR's "A Blog Supreme" by clicking here.) The Barth/Wilson duo is truly a joy to listen to; their interaction, built from over 20 years of friendship and playing together, sparkles with creativity. Delightful! Jazz fans in the Connecticut area have had the privilege of hearing and seeing guitarist Michael Musillami for the better part of the past 30 years. he's worked and recorded with bassist Mario Pavone, saxophonist Thomas Chapin and others as well as leading his own groups. His Trio, with bassist Joe Fonda and drummer George Schuller, has been together for 10 years and keeps growing. Musillami's record label, Playscape, has issued a plethora of fine CDs by artists such as Pavone, pianists Peter Madsen and Ted Rosenthal, multi-reed player Tom Christensen and others. Hear Michael Musillami in conversation with Jason Crane on "The Jazz Session" podcast or streaming on the website (link below) - for the guitarist/composer, 2009 was a sorrowful year with the death of his son Evan. Musillami discusses that tragic event and how the creation of his new CD, "Old Tea", was cathartic and necessary. Crane, as usual, asks excellent questions and the interview is more of a chat than an inquisition. You can hear the show and support Jason Crane by going to http://thejazzsession.com/2010/07/01/the-jazz-session-181-michael-musillami/. 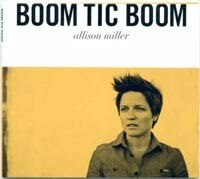 Boom Tic Boom - Allison Miller (Foxhaven Records) - This CD was issued early this year and I keep returning to listen for numerous reasons. The sound quality is warm yet crisp, the musicianship excellent but neither facile nor glib and the material inspired. Miller on drums paired with Todd Sickafoose on bass supporting, prodding, riding alongside and atop the inspired piano of Myra Melford. The pianist rarely has sounded more inviting - over the past decade, it seems as if she has relaxed into her own style. Melford can be frighteningly quick and atonal, downtown bluesy and classically bent, often within the same solo. On the opening track (the drummer composed 6 of the 9 songs), Miller leads the trio in and creates a shimmering backdrop for the full piano chords and rising melody lines. The piano solo starts easily, short bluesy lines that grow in length and power, all the while the bass and drums match Melford's intensity level. The coda features Miller's explosive, declarative, drums solo. The one standard in the program is Hoagy Carmichael's "Rocking Chair" - the trio explores the softer, folkish, aspects of the song, allowing for Sickafoose's fine solo (he is impressive throughout) and Miller's expressive yet never intrusive trap set work. Melford contributes 2 songs, the angular, impressionistic, roiling "Be Melting Snow" and the quiet, poetic, "Night" that closes the CD in a thoughtful and serene manner. "CFS (Candy Flavored Sidewalks)" opens with Melford plucking inside the piano, then moves into a folk-ish romp featuring the country fiddle stylings of guest Jenny Scheinman atop the playful and martial snare of Miller. There's the sly, funky, feel of "Big Lovely" with its pounding piano solo and playful bass solo. But, listen to Miller as she dances and struts beneath the soloists, never soloing but always part of the action. "Boom Tic Boom", with its suggestive and onomatopoetic title, is a treat for the listener from beginning to end. 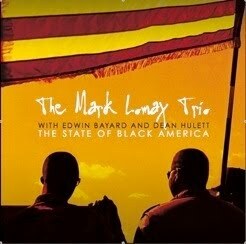 The trio sounds like they had a great time as the listener when he or she digs into this excellent CD. For more information, go to www.allisonmiller.com. The Visitor - Roland Vazquez Band (RVD) - Drummer Vazquez moves away from the trap set and becomes composer, arranger and conductor of a most adept 19-piece ensemble. Composed of 5 reed players, 4 trumpeters and trombonist, piano, bass, guitar, drums, vibraphone and percussion, this band is given a set of smart melodies and classy arrangements and they "run with it." This recording, funded in part by the Aaron Copland Fund for Music, Inc., features musicians associated with the large ensembles of Maria Schneider, Darcy James Argue, John Hollenbeck and Jim Cifelli as well as a fine rhythm section of James Genus (electric bass), Luis Perdomo (piano), Ignacio Berroa (drums), Samuel Torres (percussion) and Pete McCann (guitar). Vazquez expertly weaves the horns and reeds in and out of the Latin rhythms that pervade the program, as one can hear at its best on "Thru a Window." The piece, always moving forward on the propulsive bass and percussion, has many riveting section lines that set the stage for the fine solos (save for Perdomo unaccompanied piece that opens the song.) Late in the song, Torres and Berroa take off over the band, raising the "heat" of the piece until the long, slow, fade. Joel Frahm creates an evocative solo at the onset of the title track, over a mysterious, halting , rhythm. The sections are slowly, skillfully, added in (dig the subtle interplay of the electric bass and bass clarinet) until Frahm retakes the spotlight with a lovely, long, impressionistic solo, yielding to Perdomo's sparkling keyboard dance. How uncluttered a rich work such as "Sevilla" seems, even with all the musicians digging into the parts. The rhythm section work is exciting but never obtrusive as the soloists (Perdomo, Roger Rosenberg on baritone sax and Aaron Heick on alto sax) step into the spotlight. There's a short but delightful reeds and horns interplay before the alto solo that is captivating. Despite clocking in at over 72 minutes, "The Visitor" never overstays its welcome. Each time one listens, some new aspect of the music appears. 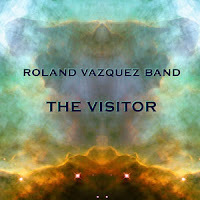 Whether it's the classy section work, the uniformly excellent solos, the splendid rhythm section, or the fact that these songs have well-drawn melodies and are not just placeholders for long solos, Roland Vazquez has paid his full attention to all that needs to be done to make this project successful. Trust me - he's done excellent work. For more information, go to www.rolandvazquez.com. 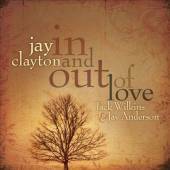 In and Out of Love - Jay Clayton (Sunnyside Records) - In her liner notes to this lovely collection of standards, Ms. Clayton acknowledges that she is "primarily known as an avant-garde singer (kind of an out-dated term but it works)...". She states her love for standards and, after listening to these 10 tracks, one should not doubt her her love. Recorded in 2007 around the same time as the more experimental "The Peace of Wild Things" (also on Sunnyside), the singer is joined by guitarist Jack Wilkins and bassist/recording & mixing engineer Jay Anderson. The 2 Jays and Jack inhabit this music, filling the pieces with the joy of melody, interplay, and quiet experimentation. "Freedom Jazz Dance" is a whirl of sound, from the unison guitar and voice reading of the theme to the counterpoint each one brings to the solo section. Tunes such as "How Deep is the Ocean" and "My One and Only Love" that have been recorded and performed innumerable times sound reborn here. On the former song, Anderson and Wilkins swing the piece heartily while Ms. Clayton sounds, at turns, flirtatious then serious. Anderson, who has such a full, rich, tone, is alone with the singer for the first minute of the latter tune and their intimacy with the music and lyrics sets the stage for Wilkins' more stately yet flowing guitar phrases. "Sunshower" (music by Kenny Barron, lyrics by Janice Jarrett) has a lovely Brazilian lilt in the melody and Latin feel in the melody . Listen to the way both the guitarist then the vocalist rise above the bouncing bass lines - Clayton is so percussive in her solo on this track and when she returns to the theme (after a fine bass solo), she effortlessly blends the wordless approach with the lyrics. With but 3 people (and none of them drummers) one might expect this music to be light. Instead, the proceedings are intimate, joyous, playful and a pleasure to take in. If one needs to label Jay Clayton, call her a "singer/musician" - she is all that and more. For more information, go to www.jayclayton.com. 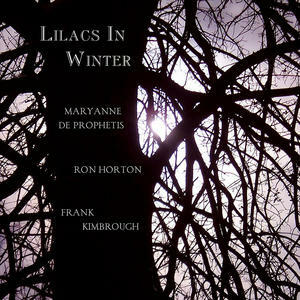 Lilacs in Winter - Maryanne De Drophetis Trio (Blue Music Group) - Ms. de Prophetis leads a trio with husband Frank Kimbrough (piano) and Ron Horton (flugelhorn) with whom she recorded her debut CD, "A Glance", in 2005. An intriguing blend of sound sculptures in which the vocalist joins the musicians as a third instrument and impressionistic poetry/songs, the program is delicate, intimate, and ultimately inviting. 4 of the 9 tracks are improvisations including 2 versions of the title track. The first opens the program with de Prophetis moving between poetry and wordless vocals amidst shards of piano chords and Horton's expressive flugelhorn. The 2nd version is similar yet here the piano is more expressive and the flugelhorn (now muted) more melodic. The traditional "Wayfaring Stranger" here is a blues ballad with languid piano lines that hint at Charles Ives as well as Jelly Roll Morton and a bluesy accompaniment plus solo. from Horton. The heartfelt "Hymn for Peace" has a lovely melody and rolling piano lines that radiate from the vocal. Horton weaves in and out with soft yet moving phrases. On "Snow", Kimbrough's articulated lines with their flowing swift current and Middle-Eastern flavor are on display until halfway through the piece when Horton joins - here, the brass twists and twirls atop the piano phrases, growing in intensity until a formal reading of the theme leads the piece out. The song serves as a musical interlude (de Prophetis composed the piece but does not participate) in the middle of the program. As with her previous CD, Maryanne de Prophetis has created music that defies categories and asks only that one listens with open ears. Musical, challenging, often calming (never soporific), "Lilacs in Winter" is worth exploring. For more information,, go to www.maryannedeprophetis.com. Moody 4B - James Moody (IPO Recordings) - 83 years old at the time of this recording, Mr. Moody is certainly not shy nor ready to retire. Recorded the day after his previous IPO release, "Moody 4A", this CD features the same fine musicians; "master" pianist Kenny Barron, bassist Todd Coolman and drummer Lewis Nash. The tenor saxophonist sounds just fine as he and his compatriots dance through these 9 tracks, all but 2 standards. "Take the A Train" with Barron "striding" the Strayhorn melody in before the rest of the band kicks it up several notches. Coolman is the "conductor" and Nash the "steam" while "engineer" Moody steers the piece through. "Speak Low", normally a ballad, gets a Latin treatment - Moody sounds as if he is channeling Stan Getz for his solo and dig his dancing lines that lead the piece out. "Polka Dots and Moonbeams" is a ballad yet, once the opening theme takes its traditional slow stroll, the band gives the piece a nice "swinging" treatment (strong solos from both tenor and piano.) Benny Golson's "Along Came Betty" also swings with joy and an ease that illustrates how much fun the quartet had during its time in the studio. Coolman's "O.P. Update" is a piece for bassist/cellist Oscar Pettiford that has a sweet boppish feel and a riveting tenor solo (Moody really digs into his several choruses.) The other original piece, Barron's "Nikara's Song", has a pretty melody line that Moody caresses, never rushing the pace, just languishing in the longer tones he creates. "Moody 4B" is relaxed but not lazy music that is easy on the ears. That James Moody and company had a good time creating this program is no surprise and the listener is the beneficiary. For more information, go to www.iporecordings.com. This is his 2nd release and it's quite an ambitious project. Disc 1 features 8 solo piano pieces and a 2-part "Suite for Cello and Piano" featuring cellist Cara Berridge. Disc 2 features Simcock's working Trio composed of bassist Yuri Goloubev and drummer James Maddren. Taken as a whole (130+ minutes of music), this is quite formidable but never boring. The solo pieces reveal Simcock's flowing lines, sense of humor and adventure. "Little People" jumps out with its majestic phrases, fulsome melody and little bluesy asides. Following that, the "Exploration of Mvt II of Grieg Piano Concerto" sounds and is quite formal at the onset yet the pianist moves the work slowly but steadily forward. Somber, sober and lovely, the piece is the perfect set-up for the rhythmic and sonic adventure of "On Broadway." Here, the left hand creates a roiling rhythm while the right hand dances out the melody and solo lines. The remainder of the solo pieces show Simcock's restless creative mind and technical (but not overtly showy) prowess. The "Suite" introduces Berridge's lovely cello and, together, the musicians move through the various melodic, rhythmic and harmonic variations Simcock created for them. through to the close. The title track has a fine Latin tinge in the brush-on-snare drum work and an understated yet fiery drive in the pianist's left hand and the bass lines. Goloubev's funky pizzicato lines lead in Sonny Burke's "Black Coffee", the first of 3 standards on the program. The piece has a playful that spills over to the Trio's take on "Nice Work If You Can Get It", with its ever-shifting tempos. "Cry Me A River" has a mournful feel, moving at a slow pace throughout so that individual notes stand out, like teardrops. One can hear the influences of the classic Bill Evans Trio as well as Keith Jarrett and Brad Mehldau in Simcock's approach. Yet, I hear a 29-year old adventurer staking out his own territory, creating music that moves beyond influences. 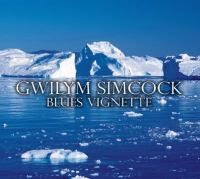 Such a pleasurable journey should be shared by many - to find out more, go to www.gwilymsimcock.com. Alto saxophonist/composer Jacam Manricks, a native of Australia, writes complex works, filled with rhythmic challenges and melodic inventions but does so in a way that is accessible for the average listener. "Trigonometry" is his 3rd CD as a leader and first for the Posi-Tone Records label. The basic group features the solid bassist Joe Martin, pianist Gary Versace and drummer Obed Calvaire. They are augmented on several cuts by trombonist Alan Ferber and trumpeter Scott Wendholt. Pieces like "Slippery" (with its funky melody line and sweet rhythms) and "Cluster Funk" (more funk and a 3-horn front line) sit easily next to the more introspective "Mood Swing" and "Labyrinth." The former has an melodic and rhythmic approach akin to that of David Binney and a piano solo from Versace that bears the influence of Andrew Hill. The latter, the title track of Manrick's last CD, moves in on poly-rhythmic feet, the drummer pushing the alto line along. There's a sweet take on Eric Dolphy's "Miss Ann" with just sax, bass and drums. Calvaire really stands out, his dancing snare and swirling cymbal work a highlight. Manricks seems to enjoy creating pieces out of rhythmic patterns, rising atop the pulsating lines created by the rhythm on tracks such as "Sketch" and "Combat." Great interaction with Versace and Calvaire on the latter track is really appealing. 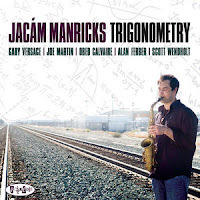 "Trigonometry" may have been a subject that stumped many of us in school but, on this CD, Jacam Manricks and crew have created a musical course that is worth revisiting many times. For more information, go to www.posi-tone.com. Trombonist/composer John Fedchock is best known for his Big Band recordings but likes to stretch out on his NY Sextet dates. "Live at the Red Sea Jazz Festival" (Capri Records) was originally recorded for Israeli television but Fedchock loved the sound so much, he asked for and received permission to release the audio soundtrack. The ambient temperature was over 100 degrees at the time of the band's hit - after all, Eilat, Israel, sits at the southern end of the Negev desert. Yet the Sextet (Scott Wendholt on trumpet and flugelhorn, Walt Weiskopf on tenor saxophone, Allan Farnham on piano, David Finck on bass, and Dave Ratajczak on drums) sound calm and collected as they move and groove through this inspired set. With the exception of the final track, "Not So New Blues", all the tunes are over 8 minutes long (with two passing 12 minutes). Yet, one can hear why Fedchock likes this program and the band - there are few, if any, slack moments. Weinholt and Weiskopf really dig in on "That's All Right", creating bluesy and melodic solos over the sweet dancing work of the rhythm section. The band moves coolly through Tom Harrell's "Moon Alley" with splendid solos from Wendholt and Fedchock. Again, check out how the rhythm section keeps the piece moving at an easy yet propulsive pace. "Caravan" is a logical choice for this Festival - this version has plenty of heat in its subtle tempo changes, crackling solos (especially from Farnham and Weinholt) and smart arrangement. There are moments when mainstream jazz, well-played with excellent solos, just hits the spot. 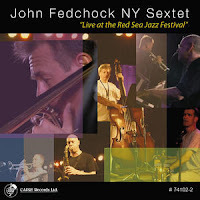 "Live at the Red Sea Jazz Festival" breaks no new ground but is so much fun to sit and listen to. Give it a try. To find out more, go to www.johnfedchock.com. Here's a video of the Sextet moving through "Moon Alley."